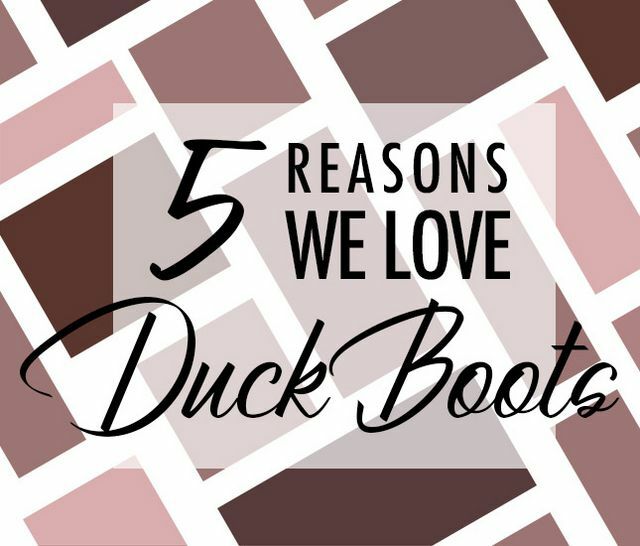 If you’re anything like us, you probably don’t need a list of reasons to love duck boots, since they’re a functional fashion favorite that you can sport throughout the entire fall and winter. But we’re all about showing our love for these preppy footwear basics! Easy to style with your favorite pair of skinny jeans, leggings and fuzzy, wool socks, duck boots are perfect for indoor and outdoor activity. 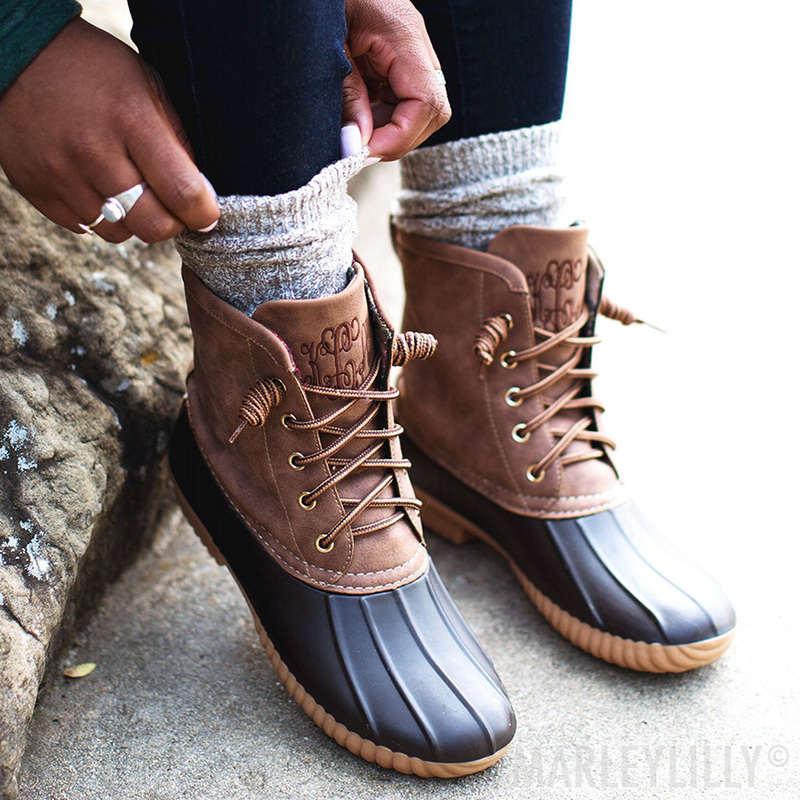 Whether you’re going on a long, snowy hike or posing for family pics at the pumpkin patch, these cute boots bring a laid-back yet put-together feel to your cute outerwear collection! Quick recap for anyone who’s not familiar with the duck boot! These kicks are staples of the classic New England prep look, having been a favorite among prep school kids at various points throughout the past several decades. The 1980 book, The Official Preppy Handbook, cited duck boots as the second most important shoe, just after loafers, so they’re definitely an essential for anyone who loves prepped-out style! In 2010, duck boots had a big resurgence, and it doesn’t appear to be slowing down anytime soon. We are living for it! Duck boots were originally called Maine Hunting Shoes because they’re made for outdoor activity, with rubber soles and leather or faux leather uppers that protect your entire foot and ankle from moisture, cold and dirt. They typically have warm linings and insulation to ensure that feet are nice and toasty, even in sub-zero temps. For the same reason the duck boot persevered in New England, it’s having an incredible resurgence in Southern prep fashion. Southern girls love anything they can wear for style and practicality, and these babies take the cake for rugged yet trendy footwear! 1. They’re Cute—Okay, this is a little bit obvious, but the main reason why we can’t get enough of DBs is because they’re super cute and easy to style in many unique ways. Whether they’re worn over some thick, bunched up socks or with sleek, slim denim, they bring an effortless outdoor-chic look to your wardrobe. Plus, duck boots come in several colors to go with every outfit, including the classic brown-on-brown as well as all white and herringbone styles. 2. They’re Rugged—They were once called hunting shoes for a reason! These babies are specifically designed to keep you warm, cozy and protected from the elements when you’re spending time outdoors. Pair them with a fuzzy tunic or a utility vest if you’re looking for a smart yet cute ensemble for hiking, hunting, fishing, bonfires, city jaunts or anything else that takes you into the great outdoors during the cold-weather months. 3. They Can Be Monogrammed—New England prep is one thing, but Southern prep is another! In the South, we’re crazy for monograms, so it only makes sense to have a pair of monogrammed duck boots for your wonderful winter wardrobe. 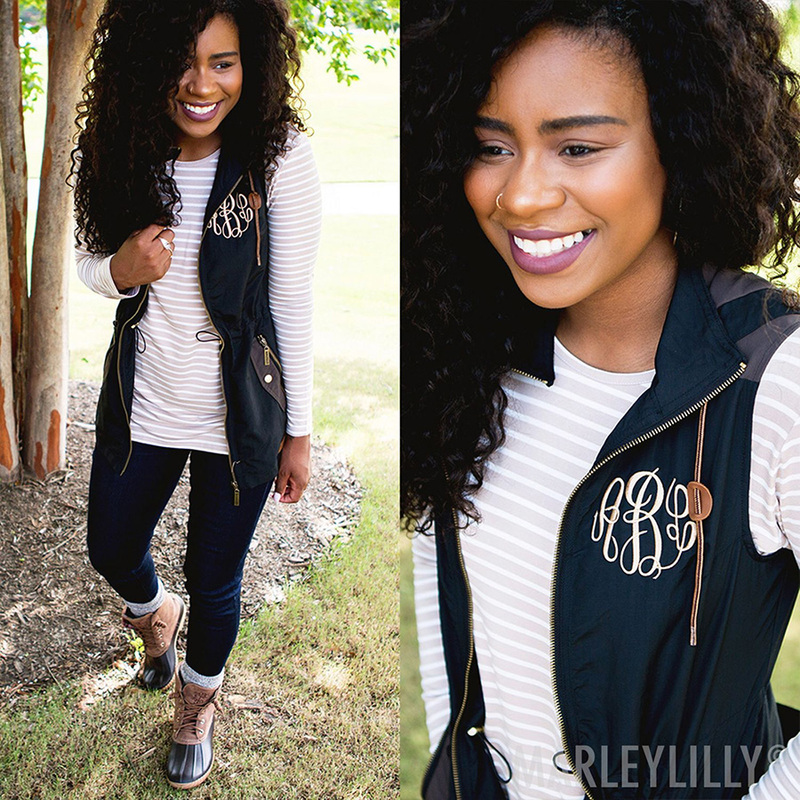 Marleylilly can personalize your pair to perfection, with tons of unique monogram and initial designs that celebrate your original sense of style. This also makes them a great gift for the trendy lady on your list. 4. They’re Warm—Also obvious, but it bears emphasizing…duck boots are made to keep your toes totally toasty! Ours are made with a removable Sherpa topper that you can add or remove for extra style and warmth. They also tend to run a tiny bit big (make sure that you reference the sizing guide before ordering for the perfect fit) so that you can easily pair them with some fluffy knit socks. Extreme weather is no match for your DBs—wear them whenever it’s snowy, rainy or windy. 5. They’re Versatile—These all-weather boots totally take the cake for versatility and convenience. They can go with you just about wherever you go during the chilly months, from your commute to work to a weekend of camping in the woods, and they can be styled sans thick socks and Sherpa trim during the warmer times of year. Make sure you learn how to tie them with the video below so that they’re easy to slip right on and off as you head out the door. If you’re in the market for a pair of cute winter boots that will be well worth the investment, then duck boots are a sensible option! 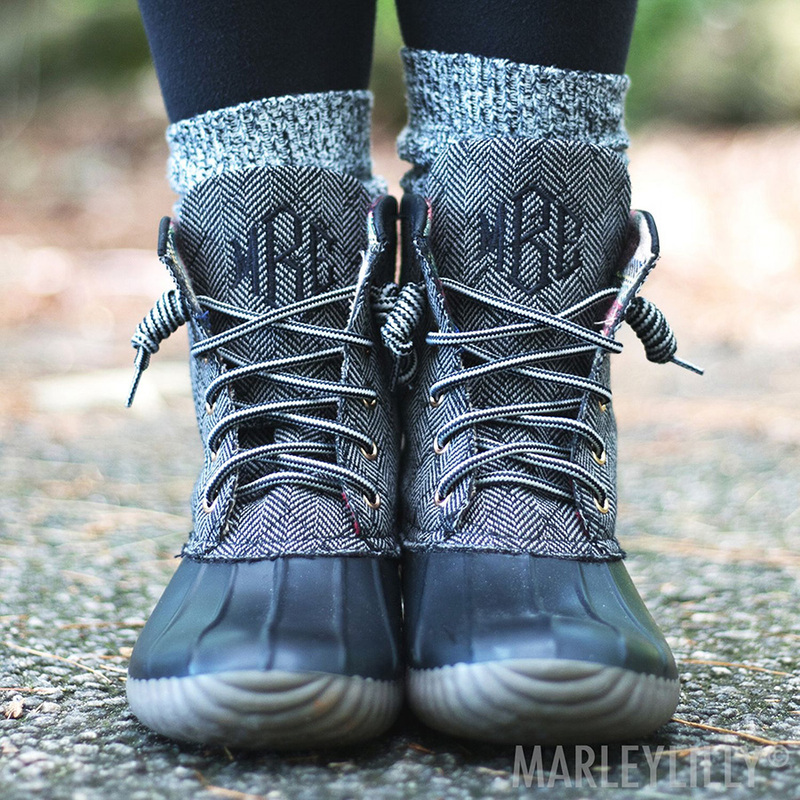 Pick up a monogrammed pair from our store to add something extra special to your chic, winter style!